How do we help our children or students who are perpetually losing things, often running late and seem completely disorganized? Do we reprimand them for being lazy? Do we keep them in at recess because they forgot to do their homework? Do we let our frustration and angst get the better of us and completely give up on helping them with anything at all? Teachers and parents often spend an inordinate amount of time supporting children with weak executive function skills. Just as importantly, this wasted time is to the detriment of the other children who are left sitting and waiting while there is a tear-down of the desk, a hunt for the pencil or a search party sent out looking for lost homework. 2. Teacher makes time to check-in with each child to see if homework is completed and planner is signed by parent. 3. All homework is put into a "Hand-In" bin. 5. Older students keep materials such as pencils, erasers and markers in a pencil box inside their desk. 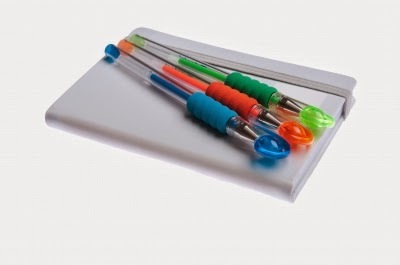 In younger classrooms, pencils are kept in containers which are passed around or kept at group tables. 6. The tops of desks should be kept clear. If it can't fit into the desk, find a shelf in the classroom to house large items. 8. 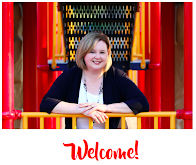 Lessons are kept in age-appropriate chunks of time and students are cued when a transition is about to take place. i.e. "You have 10 more minutes until Math begins." 9. Countdown students before instruction is about to begin. For example, "You have to the count of 5 to stop, look and listen." 11. At the end of each lesson, have students hand-in unfinished work, as well as finished work. Again, paper should not go into the desk! 13. Organize class into groups. Give instruction regarding movement and change according to groups. For example, "Can the Blue Group please line-up at the door." 20. Some students may benefit from having an extra copy of text books to keep home. 23. Help the child lay out homework and materials in a quiet work space, where an adult can check-in and oversee progress. Want more tips and advice? 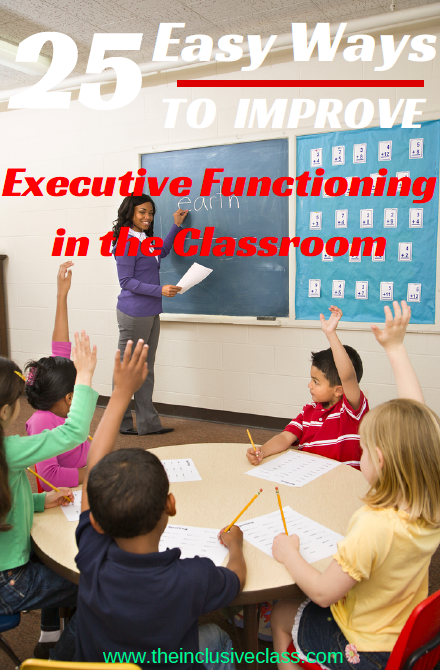 Go here to learn more ways to support your student's executive functioning skills! 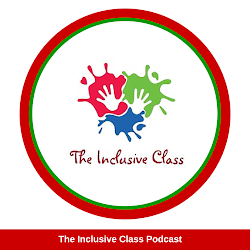 Don't forget to sign up by email to receive up-to-date posts about inclusive education! Please tell me how this would look at the middle school level where students change from class to class every 45 minutes. Hi - I just noticed this comment! There are many ways that most of these suggestions can be adapted to middle school. However, with different teachers, its important that there is communication and the same expectations across the board. 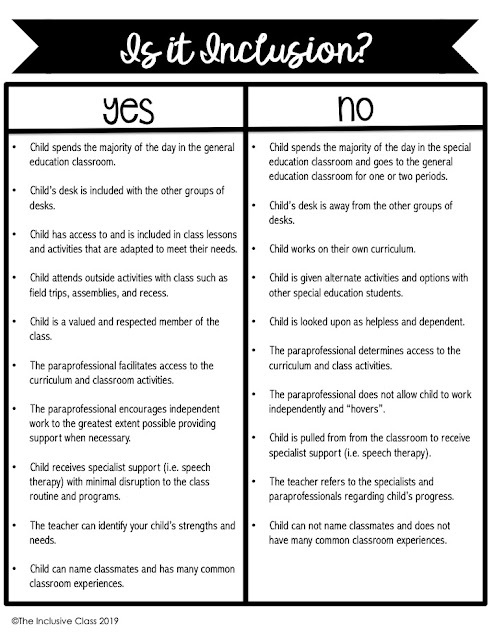 This is ideally done through an IEP. If not, then having a meeting with each teacher can help. So, to help support students in middle school, here are some ideas. If the student needs to bring a planner to class, then every teacher should expect to see it and make sure it is filled out correctly. Teachers can have a similar routine to turn in homework, the student can have a copy of each course book at home (even easier now with ebooks), each teacher can use a homework board and there can be home/school communication (such as homework assignments) via email. Of course, not every strategy can work in every classroom but the purpose of this article is to give people ideas and ways of supporting students.